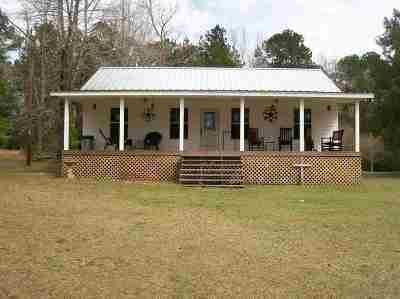 Great home in Roganville area on a hill, on 2 acres and plenty of trees. This home is only 2 years old. Large bedroom down stairs and two bedrooms upstairs, with a catwalk that has plenty of room for a sitting area. Open floor plan and vaulted ceilings. New sewer and well, two central AC units. Large front and back porches. Not far from Jasper or Kirbyville, yet very private. Bath Description: Two Bathrooms, One With Shower And Tub, 2 Sinks, And One With Shower Only.